If you are looking for a new dentist in the Elk Grove area, come visit us at Ora Dentistry. You will love our modern approach to dental care that is combined with putting your comfort first. Contact Ora Dentistry today to learn more about scheduling your visit with us. Dr. Devan Dalla is a graduate of New York University – College of Dentistry and has been in practice since 2008. While at NYU, Dr. Dalla was awarded Honors in Implantology as well as the Dr. Bernard E. Rudner Memorial Award for demonstrating superior Clinical Performance in providing comprehensive oral care. Prior to moving to the United States, Dr. Dalla earned a Bachelor's Degree in dental surgery from one of the leading dental schools in India and graduated top of his class. Dr. Dalla has always had a passion for serving in his community. In his quest to provide the underserved community with good dental care, he created a non-profit organization called “Raahat” which provided free dental services to children and those who cannot afford dental care. Along with managing the non-profit, Dr. Dalla simultaneously gained clinical experience in India and refined his skills to help provide the best oral health care to his patients. Today, Dr. Dalla is a practicing dental surgeon who is also serving our country as a Captain in the United States Army Reserve. Dr. Dalla believes in the importance of guideline-based recommendation and believes treatments should be based on thorough exams and accurate diagnosis. Many patients visit him for second opinions and trust him to provide them with comprehensive advice. He believes in a patient-centered approach and that patient education is essential for good oral health. He spends the necessary time needed to discuss treatment options and provide individualized and personalized plans. Because education is essential to providing comprehensive care to patients, Dr. Dalla has been committed to staying at the forefront of dentistry by participating in regular educational courses and workshops. He is an active member of multiple dental affiliations including the American Dental Association (ADA) and the American Academy of Implant Dentistry (AAID). Dr. Dalla loves to travel, explore new places and has a passion for photography. He enjoys spending his free time with his wife Shveta and 3-year-old son Aarav. I have enjoyed treating the residents of Elk Grove and beyond for over 40 years. I followed in my fathers footsteps (also Dr. Kiaser) who preceded me in dentistry. With over 100 years of family experience, my top priority is the care of my patients and the long lasting relationships I build with them. She recently moved from Las Vegas, but she grew up in the Bay Area. She is happy to return back home and practice in California. She graduated from dental school at Temple University in Philadelphia in 2015. She strives to provide excellent dental care from kids to adults. She loves to go hiking and rock climb in her free time. Dr. Le is very excited to meet you and your family at your next visit! I have enjoyed working in the dental field for over 12 years! When I’m not at work, I enjoy spending time with my adorable boys and husband. On weekends, I like to travel and try new restaurants. As my patient, you can expect to enjoy your visit with love and laughter. My goal is to provide my patients with excellent, personalized care to make your visit as comfortable and pleasant as possible. Over 14 years ago, I began my career in the dental field as a Registered Dental Assistant. I than decided to further my education and became a Registered Dental Hygienist. My commitment to my patients is to help them achieve their oral health goals in caring and compassionate environment. When I am not at work caring for my patients, I am busy with my kids extracurricular activities! I love to run and practice yoga and I am a firm believer in “total health” mind, body and soul. I am passionate about our patients and committed to having a positive impact on their lives. When you visit our office, you will be welcomed by a caring and compassionate team that is committed to dental excellence. With experience in the dental field and management for over 10 years, I enjoy cultivating the cohesive environment that you will experience at Ora Dentistry. I have worked in dentistry since 2007 and I love it! Nothing makes me happier than to see patients leave the dental office with a smile. A dental office is not a person’s favorite place to be, so I do everything I can to make them feel welcome and comfortable. As an insurance coordinator you can expect that I will go above and beyond to help you understand and maximize your benefits. With over 5 years in the management and the dental industry I enjoy building relationships with my patients, so they feel they have a friend in the dental office! In my spare time, I enjoy spending time with my husband Jonathan and our new baby! 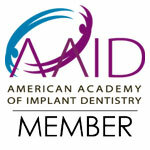 I have enjoyed my profession as a Registered Dental Assistant for over 8 years. In 2015, I furthered my RDA license and became an RDA EF2. With this advanced education in dentistry, I can now provide extended duties in assisting the doctors with their patients. Working in dentistry has allowed me to become passionate about helping people improve their smiles and their oral health. In my free time, I love to volunteer for California Care Force which serves the Sacramento community. Besides dentistry, I enjoy spending time with my 3 kids, traveling, salsa dancing and doing as much exercise as possible. I have enjoyed working in the dental industry for over 4 years. I love knowing that I can help people on a daily basis and provide them with excellent care. In my spare time, I enjoy spending time with my husband, sons and baby girl! I have been in the dental field for over 3 years. As an RDA, I enjoy spending time and getting to know my patients. I love this industry because I feel I can make a positive difference in their dental experience. When I’m not at work I like to go boating and travel to new places!